Urban luxury at its finest! This brand new professionally managed community boasts all of the high end touches along with thoughtful amenities to make any length stay a retreat. From the gorgeous pool and fitness center to peaceful hammock garden and fire pits, great consideration has gone into all of the details. Start your day with a great workout, enjoy a cup of coffee and then grab a bicycle and hit all of Charlotte's great attractions. One305 Central offers a location that is walkable to and from several of the city’s best places, including restaurants, grocery stores, bars, shops, entertainment venues, and recreational opportunities. Our apartments in Plaza Midwood are just a few minutes from places like Independence Park, Little Sugar Creek Greenway, Soul Gastrolounge, Legion Brewery, Bistro La Bon, and Healthy Home Market. 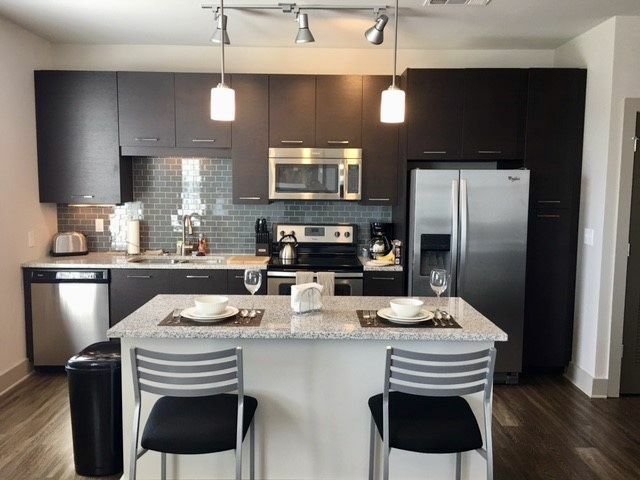 Our residents also enjoy convenient access to Andrew Jackson Highway, CPCC CityLynx, I-277, and other major thoroughfares and public transportation hubs.